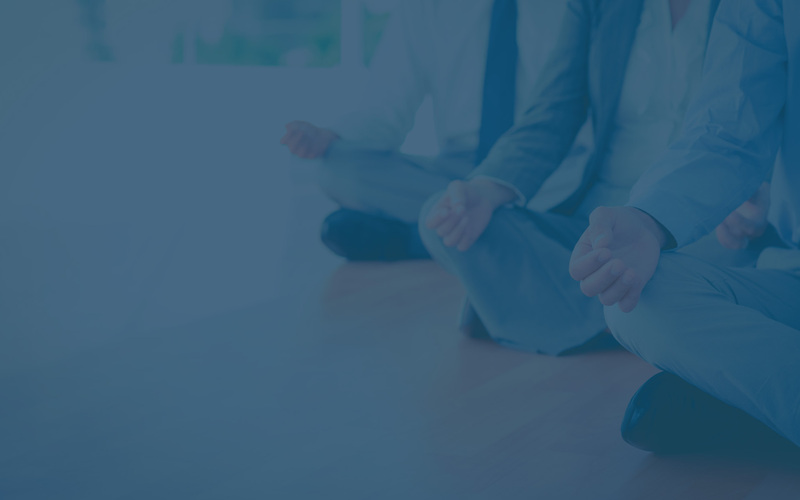 Citrix Insight Services is a Citrix initiative which focuses on simplifying the support of Citrix environments. Citrix has developed tools and automated online analysis capabilities to help collect environment information,then analysis and return recommendations based on your Citrix configuration. These recommendations are based on best practices and the in-depth product knowledge Citrix has acquired from their support services. Who can use Citrix Insight Services? If you have a MyCitrix logon, then this service is free. This tool currently provides analysis for Citrix XenDesktop (5.x and 7.x), Citrix XenApp (6.x), Citrix NetScaler and Citrix XenServer. 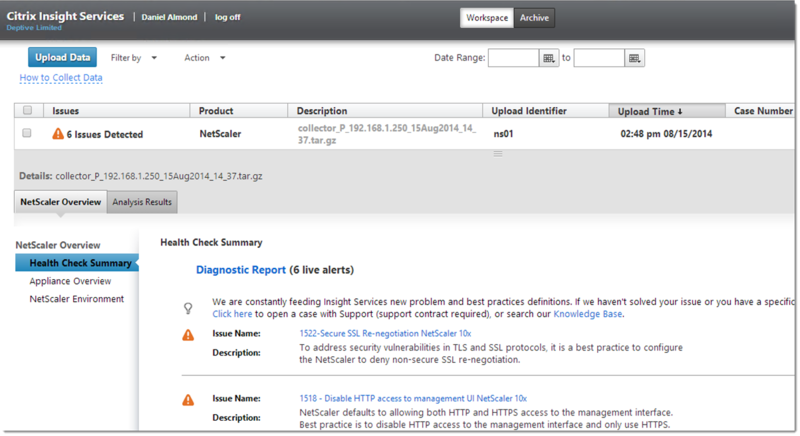 The following example steps through using Citrix Insight Services for analysing a Citrix NetScaler configuration. Step 1: Generate a NetScaler support file and download to your local machine. Step 2: Login onto https://taas.citrix.com/AutoSupport/ with your MyCitrix account and upload your compressed NetScaler support file. 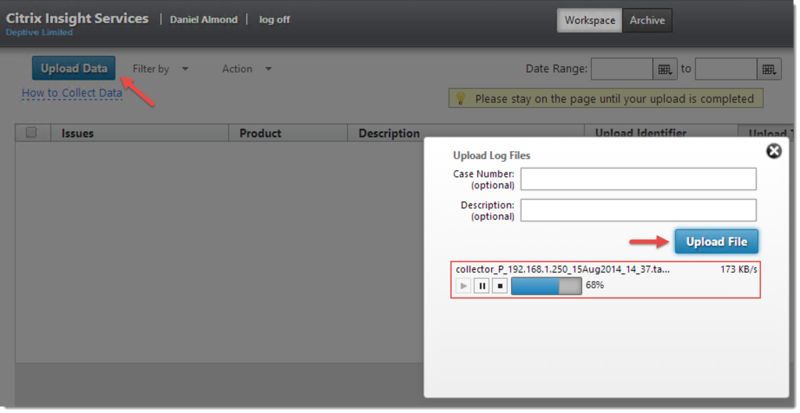 Citrix Insight Services will then start to analyse the contents of the support file. Once the analyses has completed, you will be presented with the results as shown below.